This week, I've been thinking a lot about travel. Looking at beach houses, planning mini trips, and thinking of warmer weather has really helped to brighten a very cold week. 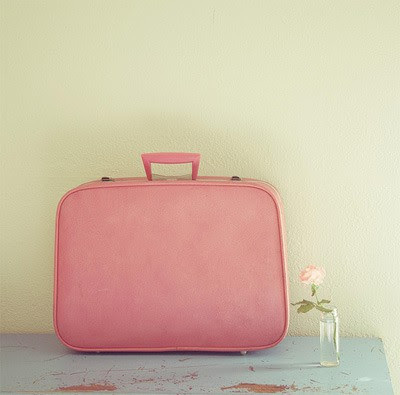 Here's some pink inspiration to warm the cold winter day! Warm weather vacations, especially in the winter, are an excellent excuse to bring out the pretty pink from the wardrobe. Isn't this a beautiful way to protect your skin from the sun? 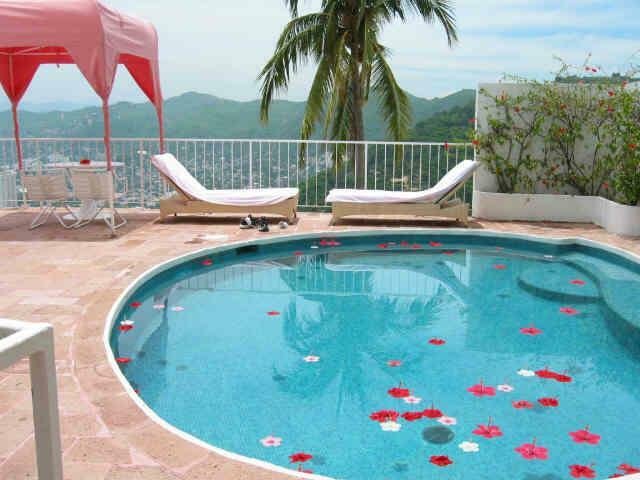 Las Brisas in Acapulco is one of my favorite resorts. What could possibly be better than a villa with a private pool that has pink hibiscus flowers floating in it? The resort is also famous for their pink jeeps that guests can use! I'm ready to pack my bags for a new adventure! Where would you like to take a vacation? What vacation plans do you have for this year? Perfect images to get me thinking about sun and sand and warm weather after we got about 2 feet of snow yesterday!! 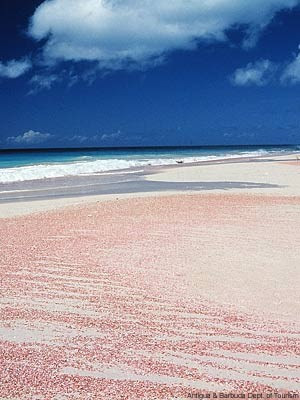 Oh how I'd love to be on pink sand beaches right now!!!! My dream trip is Ireland. This year I will be heading to Tokyo in the fall.